Street Light Controller in a conventional 3-module wide, DIN rail-mounted housing. 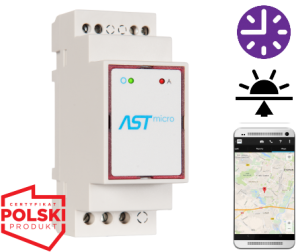 ASTmidi has 2 or 3 independent outputs, photocell/ cascade input and built-in Bluetooth. 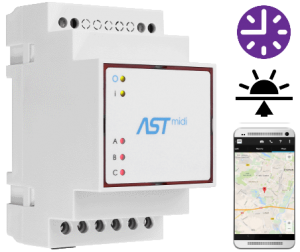 ASTmidi will calculate the optimal lighting control time based on the GPS position. 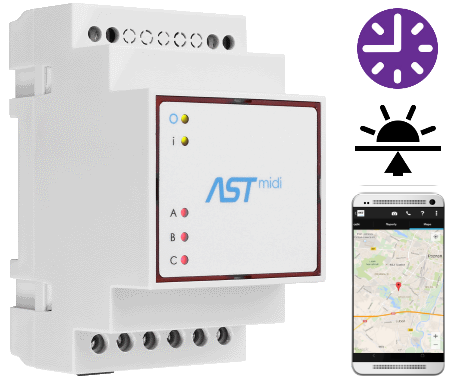 ASTmidi is a street lighting controller in a conventional 3-module wide DIN rail mounting housing. 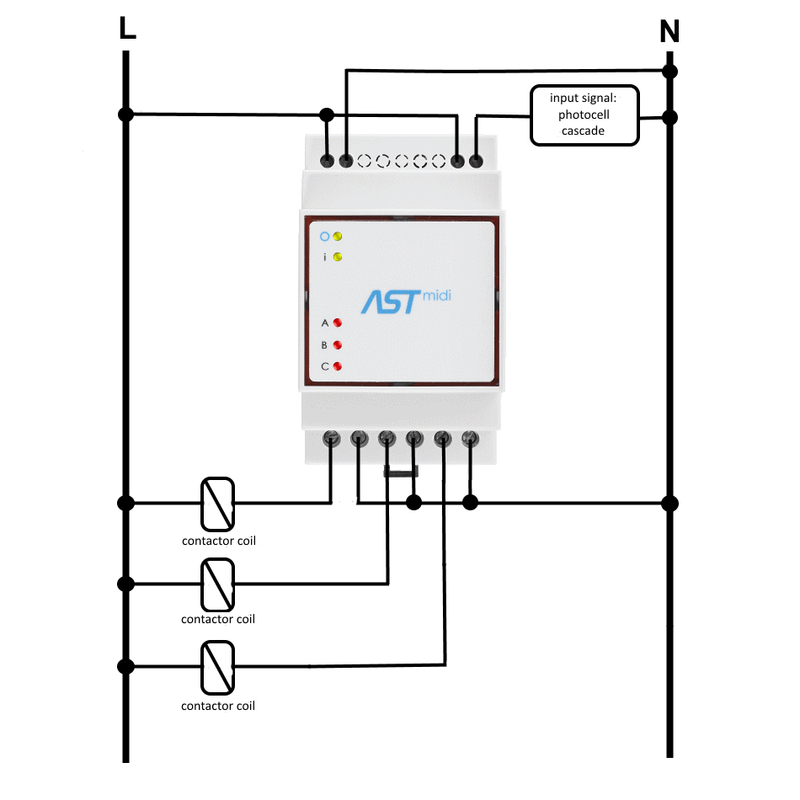 ASTmidi has 2 or 3 independent outputs, a photocell/cascade input and built-in Bluetooth. 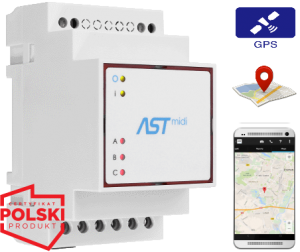 ASTmidi will calculate the optimal lighting control time based on the GPS position. 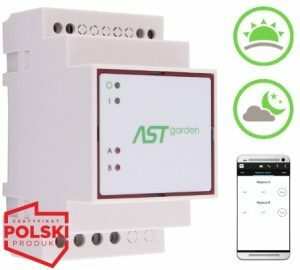 Each AST controller is equipped with a precise real-time clock and the ability to synchronize time with the phone’s GPS settings, so that the lighting is switched on precisely, which translates into savings in lighting costs. AST controllers provide the ability to fine-tune lighting operation time depending on the season. 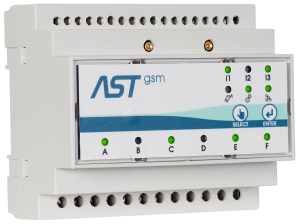 AST series controllers are the first on the market to make adjustments to the switch on/off time for each month. 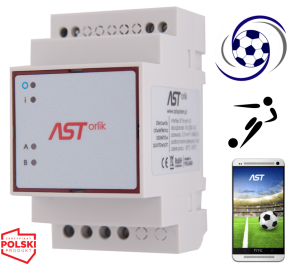 ASTmobile supports all AST series drivers, including ASTmidi. 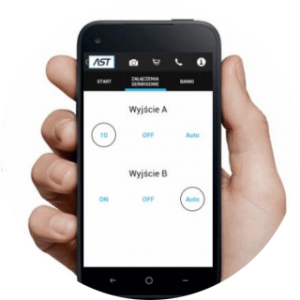 ASTmobile is an application for your phone that will make working with the driver light and fast. 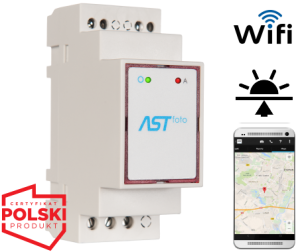 You will find your AST directly from the car, without opening the cabinet and you will see how it is positioned. You can remotely read its time, attachment times, location on the map and much more data needed for immediate change or evaluation. The interface does not get in your way, it naturally guides you and gives you a sense of control over the whole. Working with the controller gives you a new approach to the problem of proper lighting setting. It makes every task more interesting now. 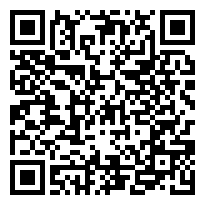 possibility of saving the current configuration of the controller as a bank of settings and sending from the application level via e-mail, Bluetooth.